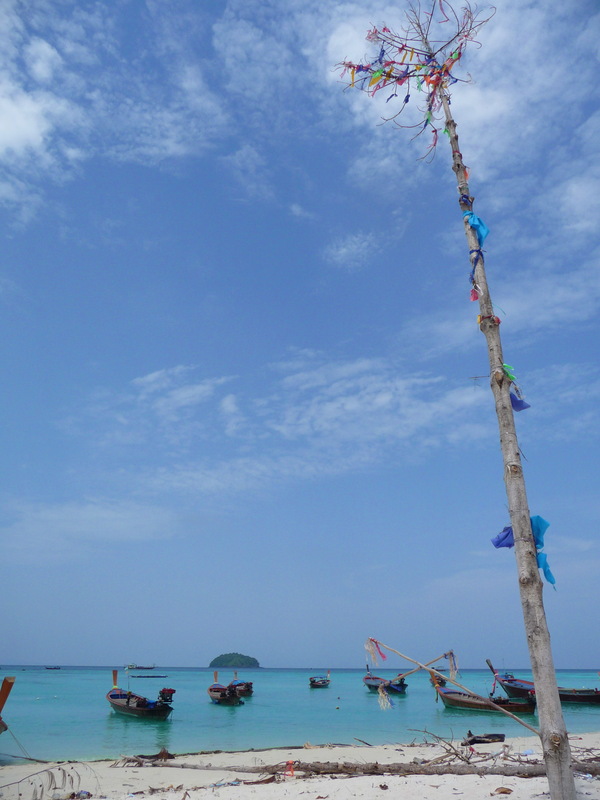 Photo of the day: Wishing tree, Koh Lipe. 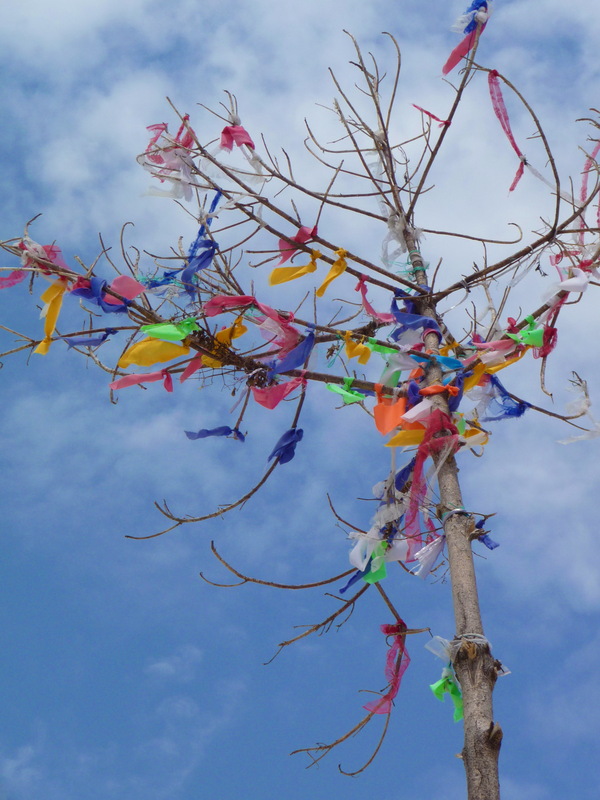 OK, so I don’t know if this is really a ‘wishing’ tree but for some reason people have been tying pieces of colourful material onto its branches for what must be a while. It’s the same material that you find decorating the tails on the longtail boats so I guess that the fishermen may have something to do with it. Maybe it’s for good luck? Who knows, all I know is it’s definitely very pretty fluttering in the sea breeze. A close up of the ‘wishing’ tree. Does anyone know why this is done? Can anyone shed some light please? Posted on September 9, 2013 October 11, 2014 by cornishkyliePosted in Photography, Thailand, TravelTagged good luck, koh lipe, landscape, photo of the day, photography, Thailand, travel, travelling, tree, wishing tree. Love reading your blog Kylie. Thanks Mr. Cully! I have to admit I am yet to read your book but it is waiting in my Kindle for when I have the time!